Street collectionStreet style has always existed but it has become a phenomenon of the 20th century. 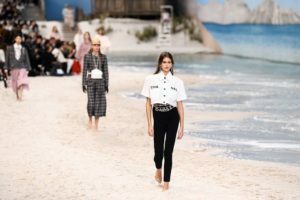 Nowadays it has become just as major worldwide, as the runway shows themselves. 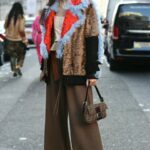 The “street” approach to style and fashion is often based upon individualism, not simply current fashion trends. Bill Cunningham, world famous photographer of The New York Times who basically made street style „fashionable” so to say, pointed street style out as a keen catalogue of ordinary people`s clothing. Also, he mentioned that streets much tell about fashion and people if you listen. According to him the best fashion show is coming to life every day on the streets. Festival collectionSorry, this entry is only available in Hungarian. Basic collectionSorry, this entry is only available in Hungarian. AccessoriesSorry, this entry is only available in Hungarian. New InDon’t miss a thing! Check out our brand new designer pieces! Hair clips, scrunchies and headbands. Meet the easiest ways to update your hairdo this spring in seconds. 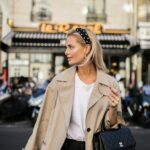 Whether you think of Grace Kelly, Brigitte Bardot or Gossip Girl’s Blair Waldorf, the one thing that surely comes to your mind is headbands. And 2019 is definitely the time to wear them. 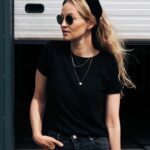 Let it be velvet, sparkly, embroidered with pearls or flowers, classic or sporty, the headband trend is everywhere. 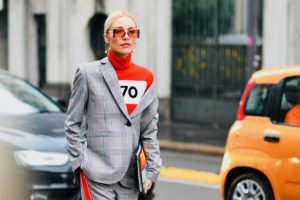 From fashion week catwalk models at Prada, Dior, or Simone Rocha to international street style influencers like Leonie Hanne, Emili Sindlev, Caroline Daur, or Chiara Ferragni, everyone seems to be wearing them. And we must admit, it’s a pretty easy thing to try, right…? Looks like from statement T-shirts, bags, or shoes, we’ve arrived to a new era of making a statement, and that is using your head…! Would you try it…? 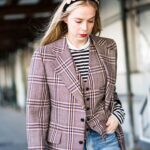 Have a look at my favorite street style looks from fashion week to get you inspired! 2019 – The year of asymmetry! Brighten it up with neon colors!